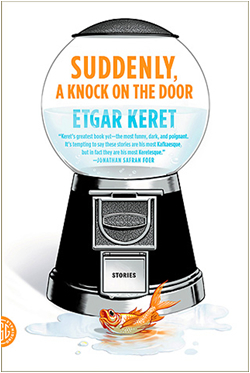 The first time I read a short story by Etgar Keret, I was working at Symphony Space, a performing arts center in New York. It was summertime and my job consisted of finding short stories for readings we held during the year. Etgar Keret would be giving a reading in a few months, and I was photocopying his short stories for the event. After fumbling around with the photocopying machine, I realized I made too many copies. Before returning to the office with the evidence, I read from the extra copies, and was amazed at Keret's quick humor, unrelenting honesty, and deep compassion. I read more works by this Israeli writer, who is known not just for his short stories, but graphic novels and scriptwriting as well. 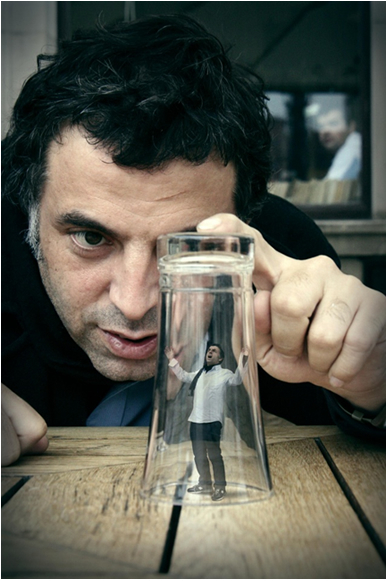 I eventually left Symphony Space, and wasn't able to meet Etgar Keret until almost a year later, when I interviewed him in Montreal. He was reading and answering questions about his new book, “Suddenly, A Knock On the Door,” (published by Farrar, Straus and Giroux) for Blue Metropolis, the Montreal International Literary Festival. We met after his reading at Indigo, and discussed his incentive for writing and the importance of individual interpretation. Julia Edelman: So I read in the Paris Review last year that your books are the most shop lifted in Israel. Is that still true? Etgar Keret: I don't know. [Laughs] What I do know is that when I publish my books, I usually put them close to the counter, so that they will be in the [shoplifter's] eye-line. JE: Do you force yourself to write every day? EK: No, no, I only write when I have a story to tell. JE: Do you know the end of a story before you finish writing it? EK: Never, because I think that for me, when I write a story, it is like going on an adventure. I think the strongest incentive I have for writing is the idea that I'm looking for the story. If I've already found it, it would be like retelling something, and not finding it. JE: How do you feel about the originality of ideas? Do you ever feel that you steal something by writing about stories you overhear, or do you think that stealing from the world and your surroundings is the only way to make art? EK: Well, you know, when you say, “stealing,” it's kind of a derogatory term. I really feel that if I hear a story, and I write something about it, and you hear a story, and you write something about it, we will write something that is completely different. I think that our choices in interpretation really create the story, and it's not as if there is an objective out there that is like an object, that you can shoplift. There have been incidents where people would write stories that I've told them, and they came out completely different from the way that I would have written them, so I didn't feel that something was taken from me. JE: In 2011, you mentioned in an interview with the New Yorker that your father had noticed the father character is always either dead or stupid. Do you find that as your relationships change with people in reality, they can find new roles in your writing? JE: You mentioned earlier that you give your two best friends and brother your writing to edit. As readers, do they have certain qualities you consider valuable? EK: Well, when I look for a reader, the most important thing is that he should be interested in what I'm doing and he should like me. 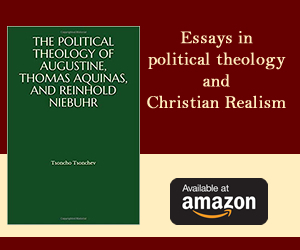 Apart from that, I think that I've heard great input from people who were very educated, from people who had no education at all, from people who were very fluent with the Hebrew language, or less good. But as long as they are curious and interested in what I put on the page for them, their feedback will be important. JE: You co-directed “Jellyfish,” with your wife, Shira Geffen. Do you enjoy working on art with your wife? Is it harder in certain respects to work with someone so close to you? EK: Well for me, the only way I know how to work with people is to work with people that are close to me. There is something very emotional and intimate when you collaborate on an artistic project, so the more you care about somebody, and the better you know them, the better partners they are for the ride. JE: Was it sometimes difficult to remain professional? EK: I must say that me and my wife had fewer arguments when we made the movies than when we regularly do, because you're focused on one thing. Suddenly both our lives had exactly the same narrative. We were seeking the same thing, and we became partners. I think it's very much like parenthood. I think as a parent, many times, if we take care of our child, suddenly we become one organism, you know? [Laughs] That's how I felt when we made a movie.